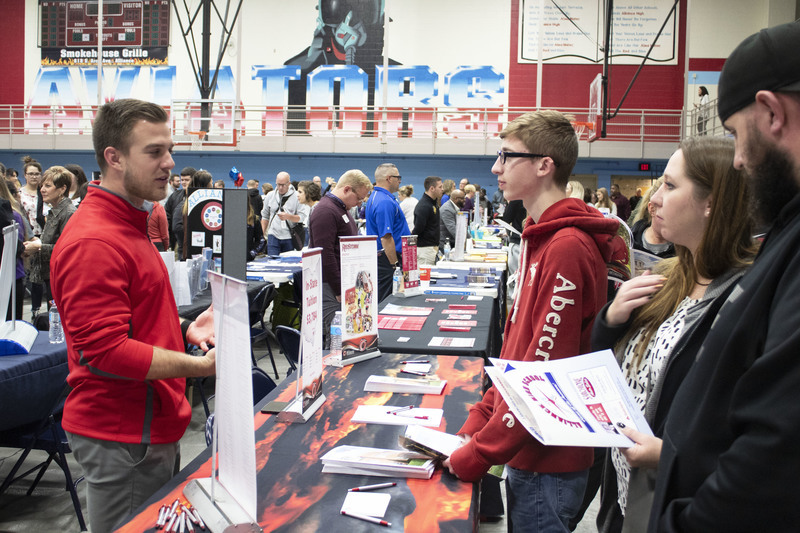 Alliance High School hosted its annual College and Career Night on Thursday, Nov. 12. Over 60 vendors were set up to provide information to students and parents about the options available following graduation. 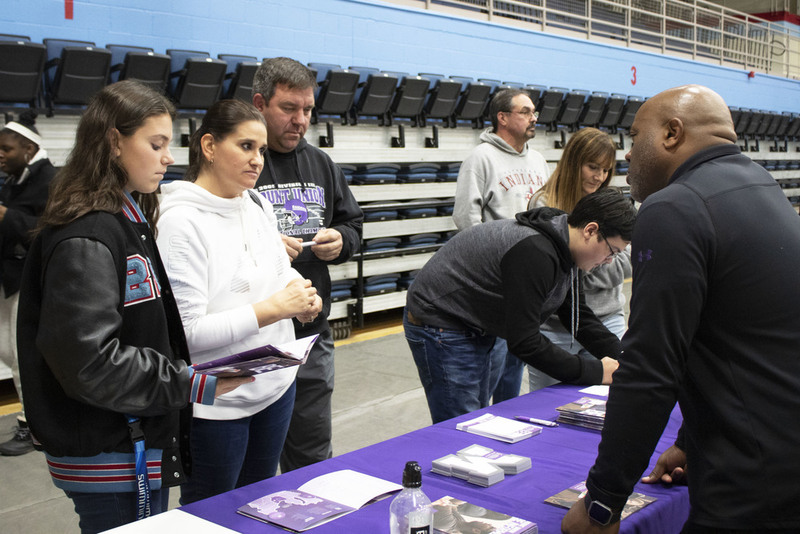 The College and Career night was a mandatory event for all seniors at AHS; however, all students were encouraged to attend. It was a great way to receive information and to explore all options available after high school. 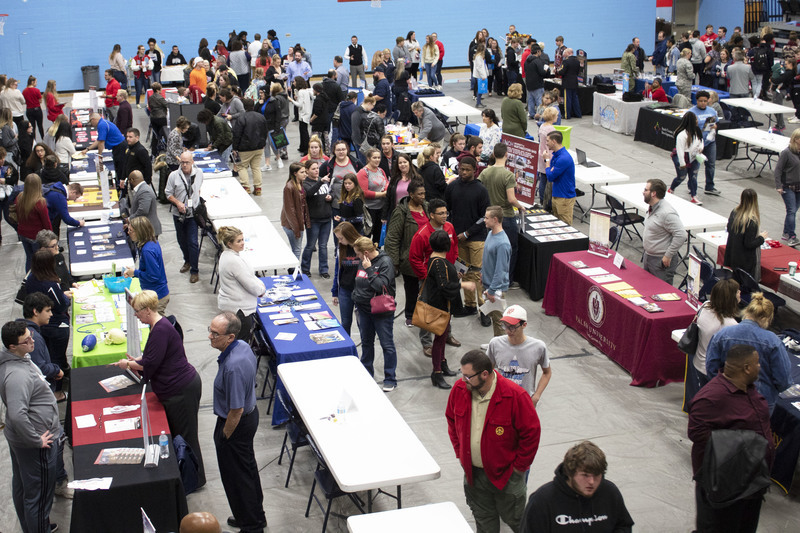 There were a wide variety of vendors in attendance including a mix of colleges, employers, local businesses, technical schools, military recruitment officers and organizations offering scholarship applications. One of the vendors was Aultman College. Deanna Woolf, recruitment coordinator and head of marketing strategy for the college, had a tables set up providing information. Aultman College is focused on producing well educated leaders in nursing and health science fields. Woolf was happy to attend the job fair since since Aultman is now linked to Alliance more closely than before. She was looking forward to meeting the students and telling them about the great opportunities available to them is if they choose to attend Aultman College. 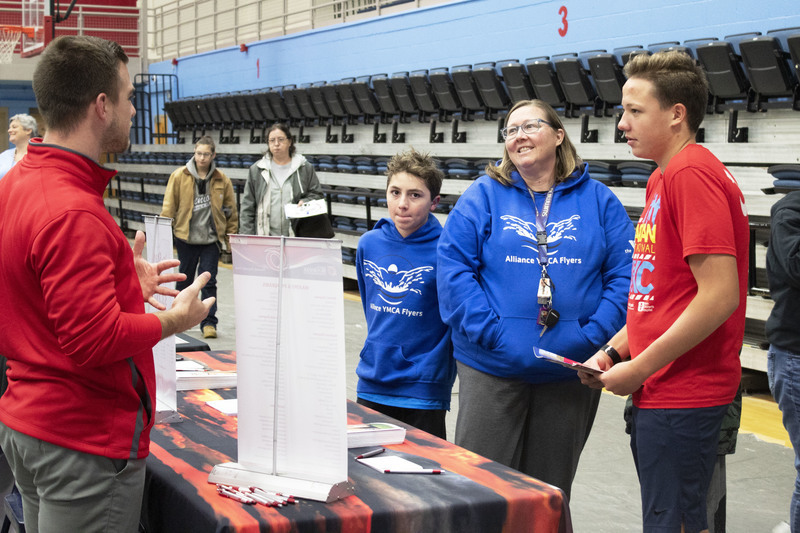 The college and career night wasn’t just helpful for the students, it also allowed the parents and learn more about the options available to their students and what their next steps should be. The pamphlets and brochures they received provided them with necessary information and the opportunity to find out more information by visiting websites or setting up tours. Reitz was at the College and Career Night with her granddaughter, Makenna Carman who is a senior. Along with the College and Career Night, the senior class took part in a class meeting where they were provided with information and dates leading up to graduation in the spring.